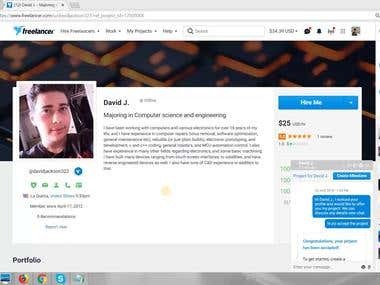 I have been working with computers and various electronics for over 16 years of my life, and I have experience in computer repairs (virus removal, software optimization, general maintenance etc), rebuilds (or just plain builds), electronic prototyping, and development, c and c++ coding, general robotics, and MCU automation control. I also have experience in many other fields regarding electronics, and some basic machining. I have built many devices ranging from touch screen interfaces, to satellites, and have reverse engineered devices as well. I also have tons of CAD experience in addition to that. 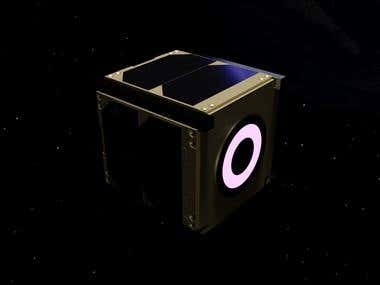 During my internship, I lead a team of student researchers to develop a miniaturized satellite according to NASA's cubesat specifications. I developed CAD models, CAD animations, circuits, satellite and rover models, both CAD and physical (using a CNC machine). I also programmed, in both python and c++. 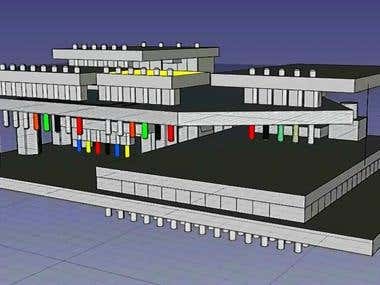 I spent over a thousand hours developing CAD models, in addition to the time spent programming, and machining all of the parts. We were recognized by U.S. congress for our research. I currently drive at pizza hut while I attend my local College. 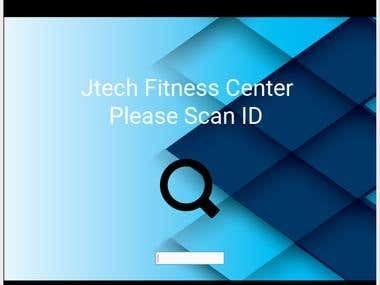 I cook, clean, wash dishes, take out the trash, sweep and mop, answer phones, cash out customers, maintain and make repairs around the building, install computer/electronic related items (including POS's, camera systems, and other related items) in addition to my typical driver duties. basic HTML5 web programming certification. I lead a team of student researchers to develop a satellite. 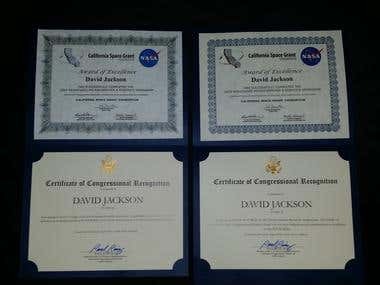 We were awarded this certificate upon completing my internship at NASA. We developed a new hybrid satellite, and we are seeking to get this published within the next few months. 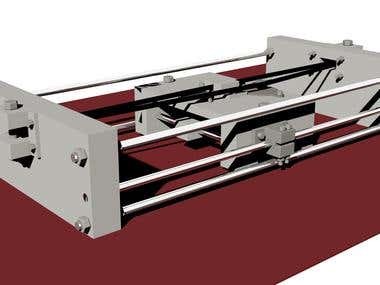 We developed our model using FreeCAD. It involved programming (c++, python, and OpenCV) CAD development, circuit development, rapid prototyping, and CNC machining. We were recognized by Congress for our research. 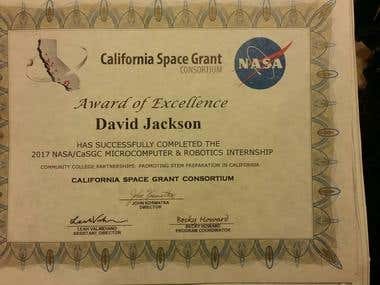 I lead of team of student researchers to develop a satellite during my internship for NASA and the California Space Grant Consortium. 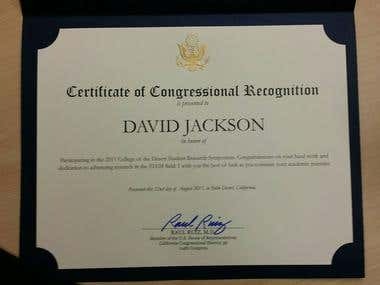 We were recognized by Congress for our work, and were awarded this certificate of Congressional Recognition.